When asked about Alaysia Nelson, who was stabbed to death Tuesday in Kansas City, Missouri, classmates and friends used a lot of the same words like "big personality" and "outgoing." Another 18-year-old, Heaven Leigh Reddick, has been charged with her murder. KANSAS CITY, Mo. 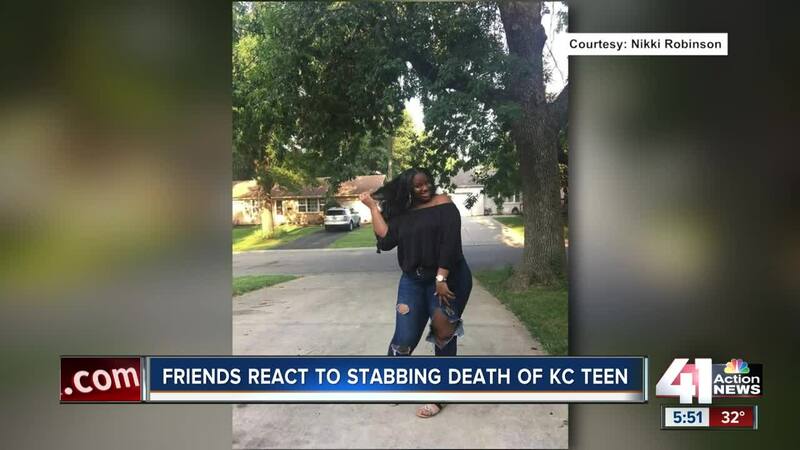 — When asked about Alaysia Nelson, who was stabbed to death Tuesday in Kansas City, Missouri, classmates and friends used a lot of the same words. "She had a very big personality," said Makala Donato, a classmate from Grandview High School. Donato's brother, Michael, agreed: "She was outgoing." Nelson, 18, graduated from Grandview last spring and had just started taking classes at MCC-Longview. "She was really a fun person and a kind person," said Eric Randle, another classmate and friend. Nelson, better known to many friends as "Lay Lay," loved to sing. Gregory Stevenson said the two became close through high school choir. "She was excellent with singing," he said. "When I didn't hit the vocals right, she would take time and help me." Nelson also was known for reaching out to help others. "She normally helped anyone in our classroom that needed help," Makala Donato said. She and Nelson were in health class together. That generous spirit is why news of Nelson's death came as such a shock. Police were called to an apartment complex in the 9300 block of Bales Avenue around 11:30 p.m. on Tuesday and found Nelson's body in the parking lot. Witnesses told police they saw Nelson fighting with Heaven Leigh Redick, 18, who was armed with a knife. Redick was arrested and charged Sunday with second-degree murder and armed criminal action. She's in a jail with a $250,000 bond. "We are going to miss her," Randle said of Belson, "and she didn't deserve none of this." A GoFundMe has been started to help Nelson's family with expenses after her death.